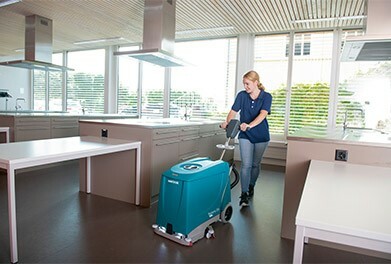 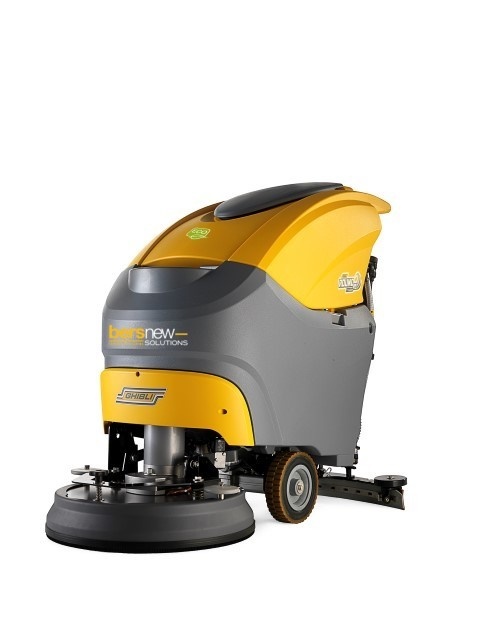 The new Discomatic Mambo E combines cleaning power and endurance with agility and extremely easy operation. 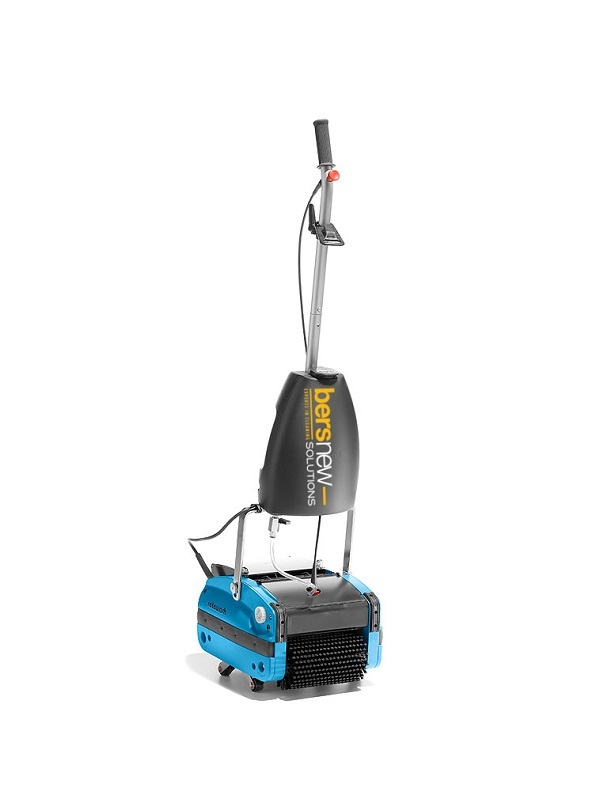 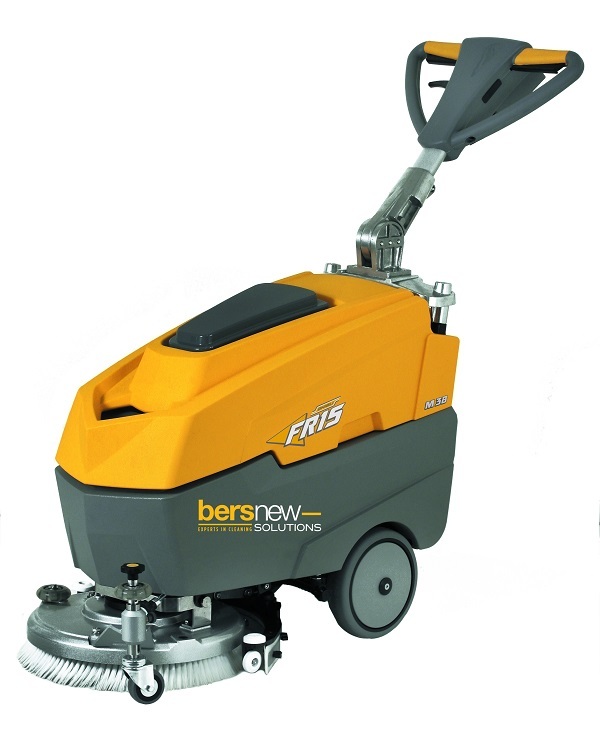 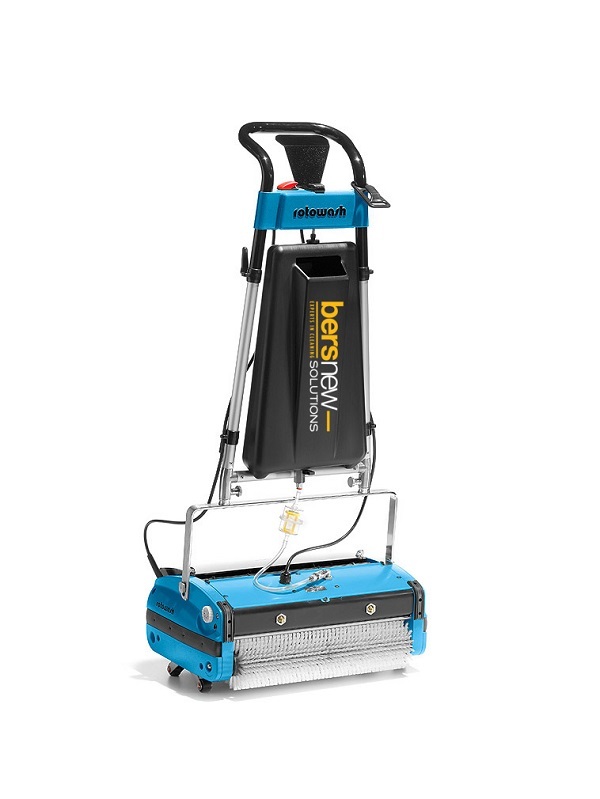 It is the most compact, cabled scrubbing vacuum cleaner available with a 30 litre fresh water tank. 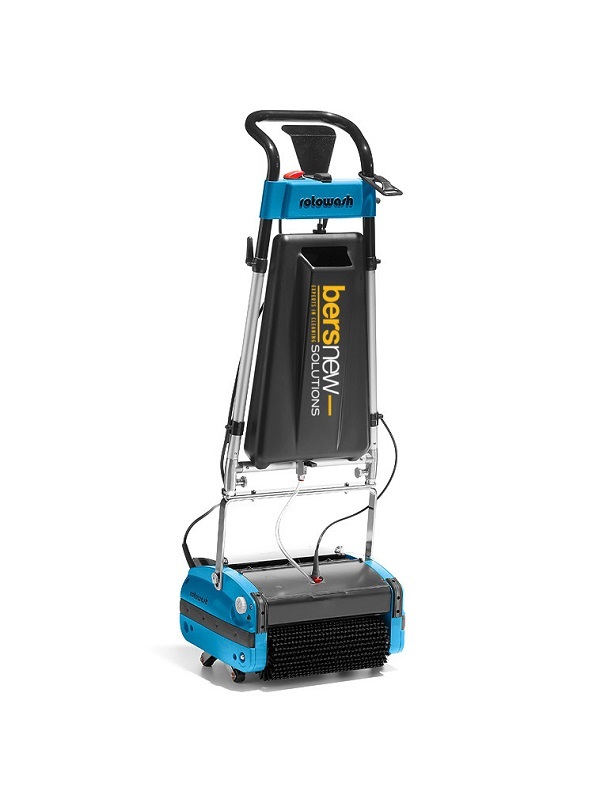 A compact powerhouse for smaller to medium-sized areas. 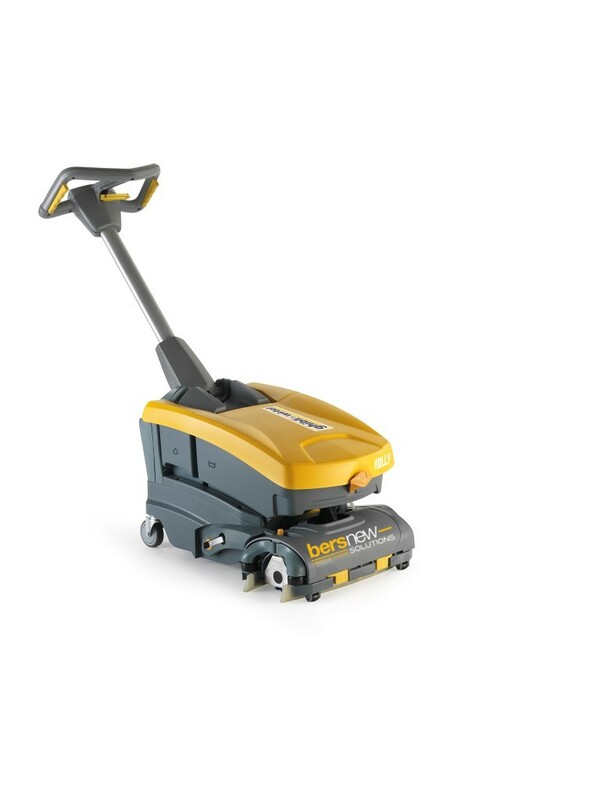 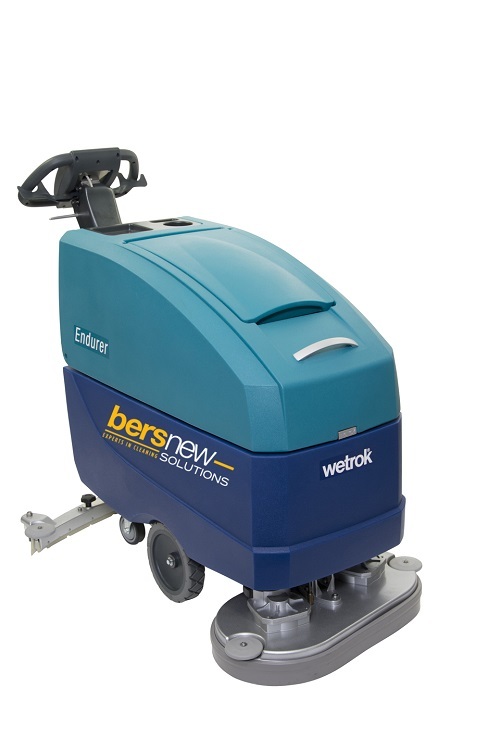 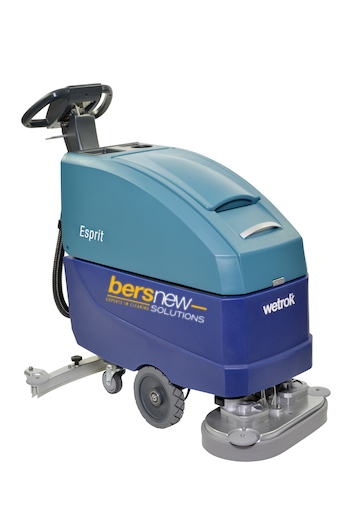 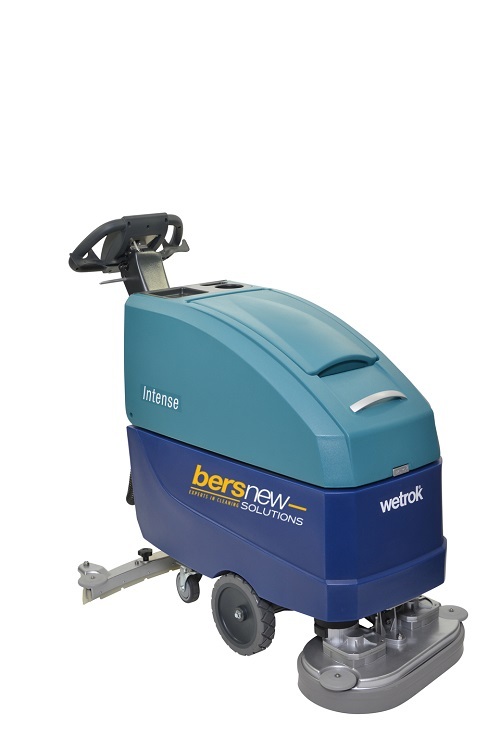 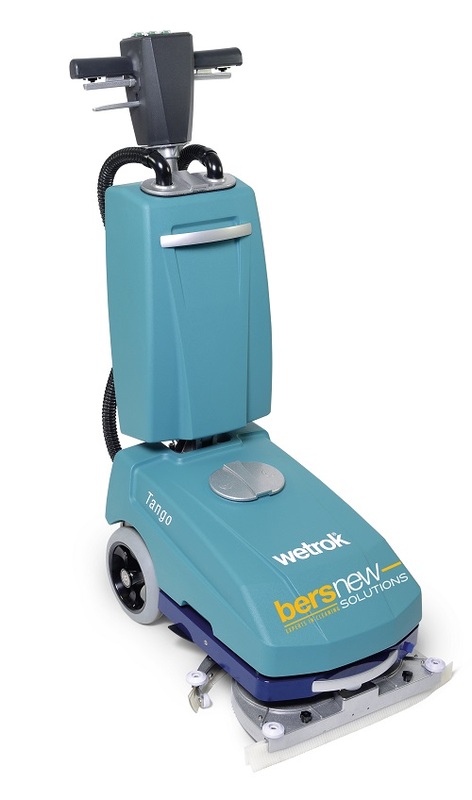 Wetrok has had a great success with the innovative Discomatic Mambo scrubber-drier. 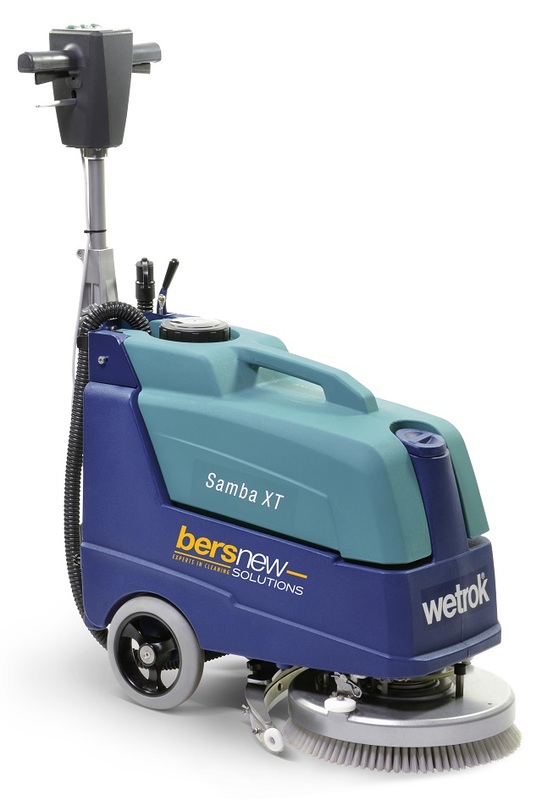 Not only the market has reacted to this new development with enthusiasm. 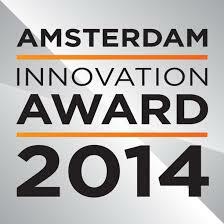 The jury of the ISSA Innovation Award has also been convinced by the unique concept of the Discomatic Mambo! 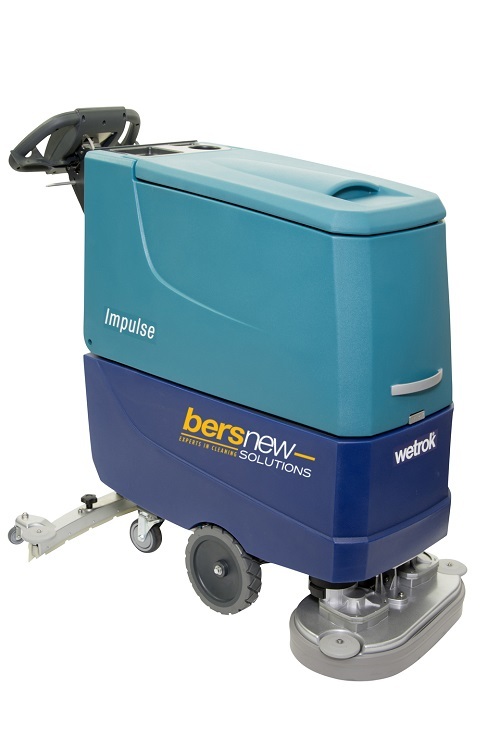 The Discomatic Mambo wins the ISSA Innovation Award in the Machine Category. 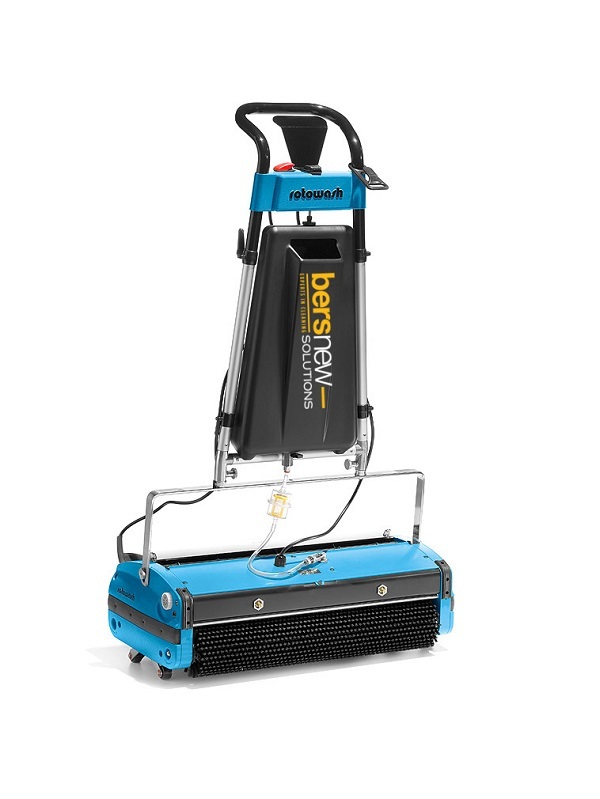 The new Discomatic Mambo E is the most compact scrubbing vacuum cleaner in its performance category. 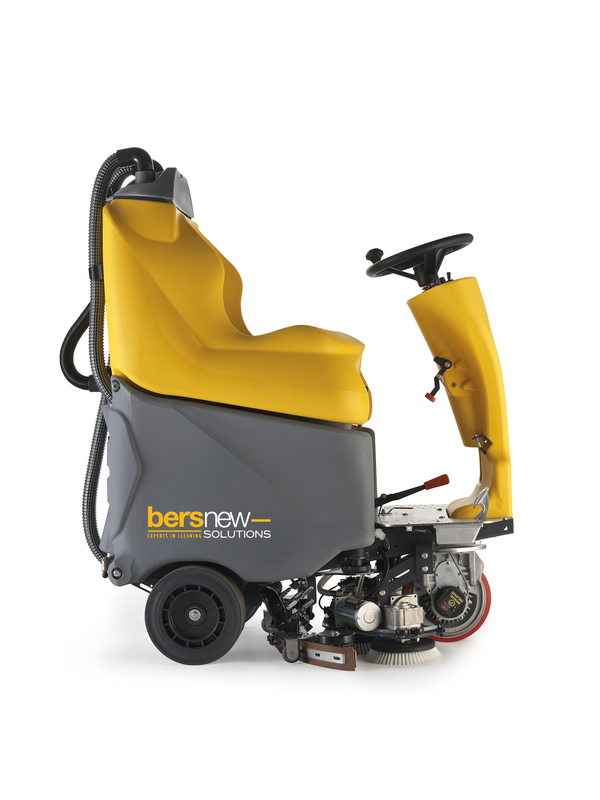 It is robustly constructed and powerful, and yet agile. 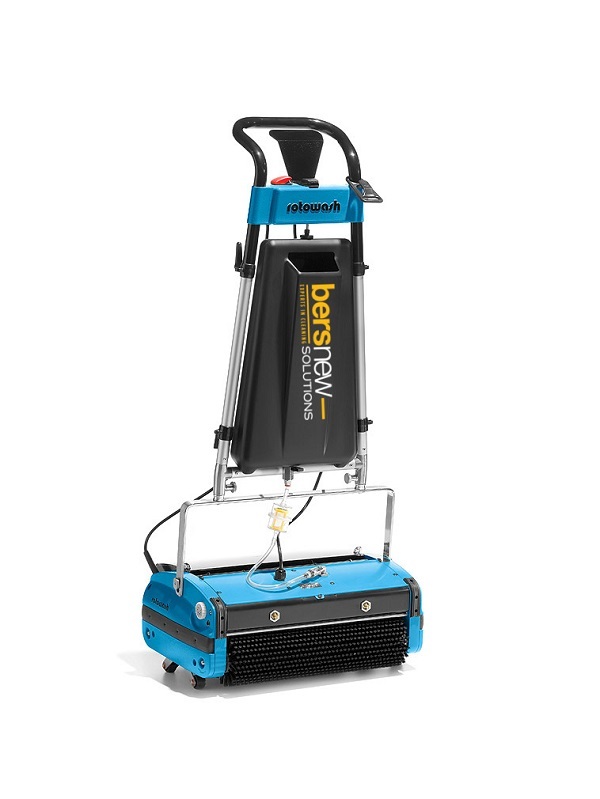 With its 30 litre fresh water tank and a long-lasting lithium ion battery it is ideally suited for longer periods of cleaning work without any interruptions. 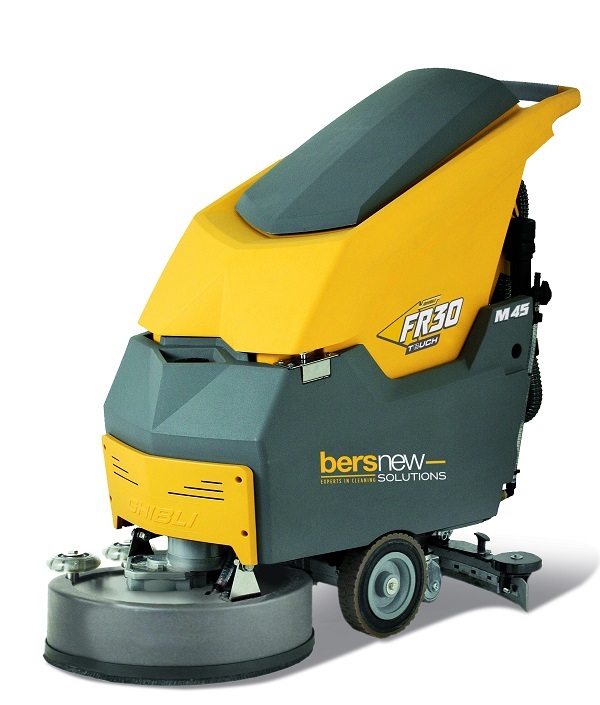 The proven double disk brush system ensures excellent cleaning results and supports the forward motion of the machine. 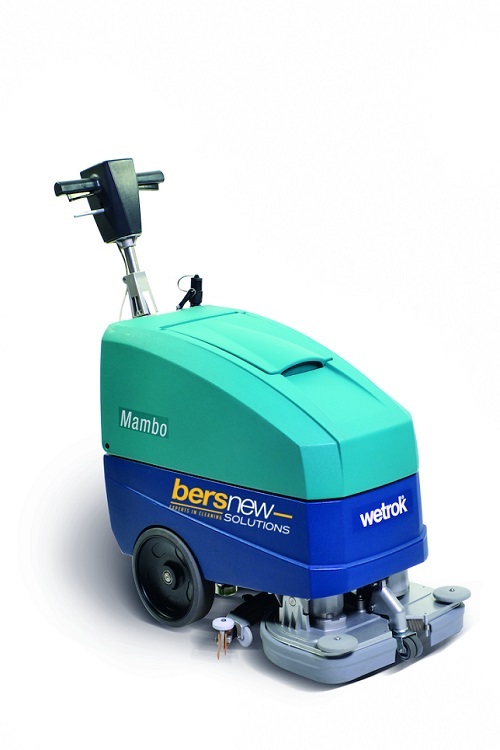 The Discomatic Mambo E has a water pump that is built in as standard and can be supplied optionally with a automatic dosage system for an optimal mix of fresh water and chemicals. 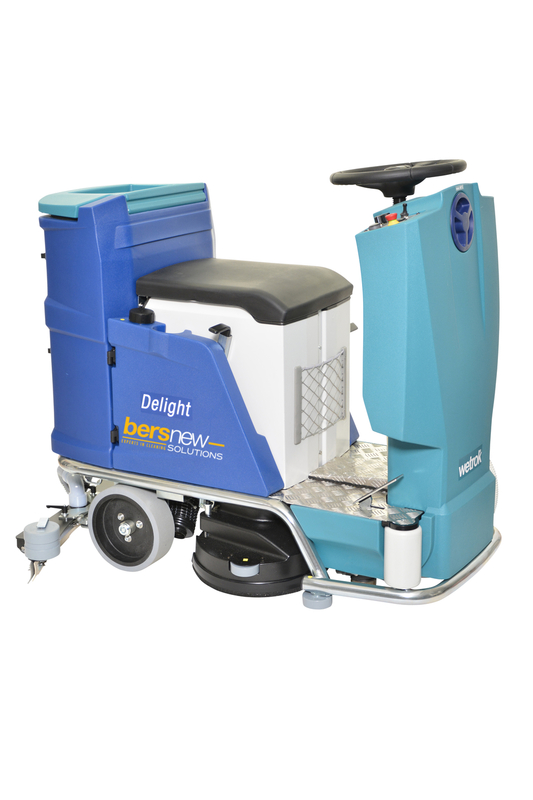 It is very simple to operate as it has only four control buttons and can be moved from one location to another for work without needing a great deal of effort thanks to the support wheel.